Soccer is the #1 sport on the planet! Soccer players are the best-conditioned athletes in the world, and earning a soccer medal is the achievement of a lifetime. 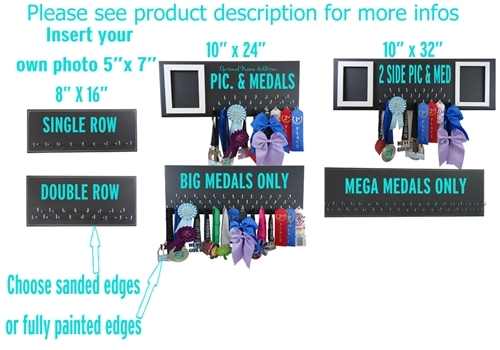 Celebrate your achievement with a totally customizable Soccer Medals Display! And a soccer medals display makes a great gift for the soccer player in your life. First choose your sizing. We offer various! The one with the picture frame will aloow you to display a 5 x 7 picture of your choice. 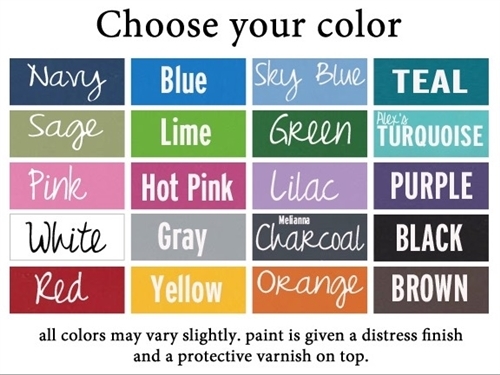 Also select your desire color from our 20 color chart. 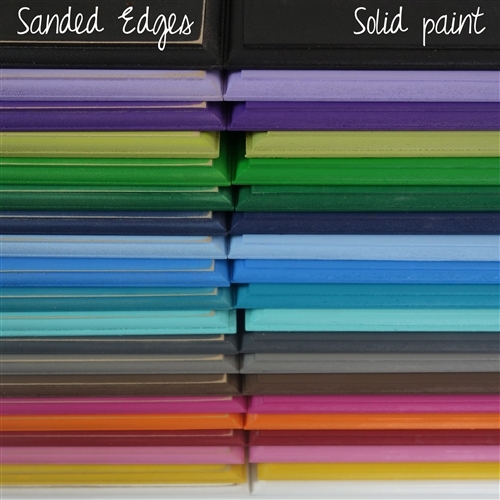 ten choose your finish either with fully painted edges or with sanded one to give it a bit of a worn out look. 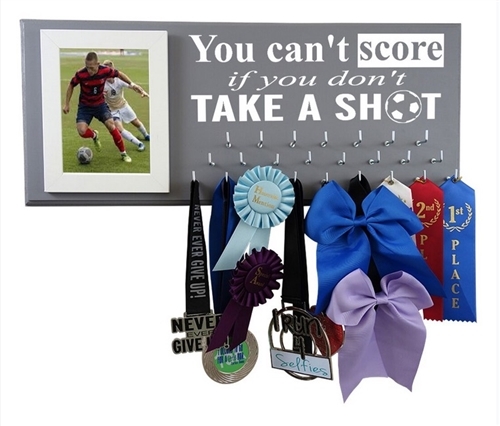 Create the perfect soccer ribbon holder to match perfectly with your romm decor!